Every now and then while sitting at the local Starbucks gazing out the window, people watching, I see an extraordinary thing. There is a group of people who routinely utilize the bustling town as practice for Guide Dogs in training. Guide dogs fascinate me. In fact all service animals fascinate me, it’s astounding that they can be trained for a life of service involving such complex tasks and decision making. You can imagine my delight when I was given an opportunity to share a wonderful Info Graphic and companion article about Service Dogs, provided by Petco. If you’ve ever wondered how Service Dogs help people and what it might be like to be a Service Dog trainer, this Info Graphic provides a snapshot of what that might look like. By now we’ve probably all seen service dogs in action. 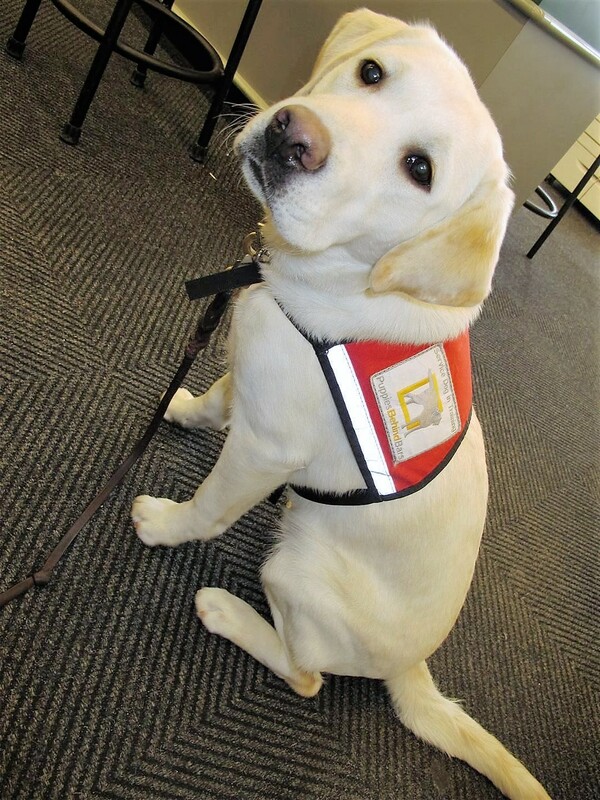 Service Dogs help sight-challenged people navigate the ins and outs of daily life. They offer comfort to returning service people. They are even able to alert some individuals with chronic conditions such as diabetes when they might be in danger and need medicine. But training a dog from puppy to lifesaving companion isn’t an easy task. It’s unlike raising a pet that will be part of a family; Raising a service dog is helping instill the necessary traits and ethic to be a hardworking animal that is specifically attuned to the needs of an individual. If you’ve ever thought about becoming a service animal trainer, or are interested in what service animals can help with, use this graphic to learn more. You'll find more detail in the companion article that goes along with this Infographic, TrainingService Dogs: From Puppy To Invaluable Partner, written by Keagen "Kea" Grace. Kea is a writer who specializes in training professional working dogs. She also serves as a consultant for service and working dog programs across North American and Europe. If you want to learn more about Service Dogs and the vital role of service dog Puppy Raisers, you’ll really enjoy Kea’s article. My dog Icy and I are a Therapy Dog team. 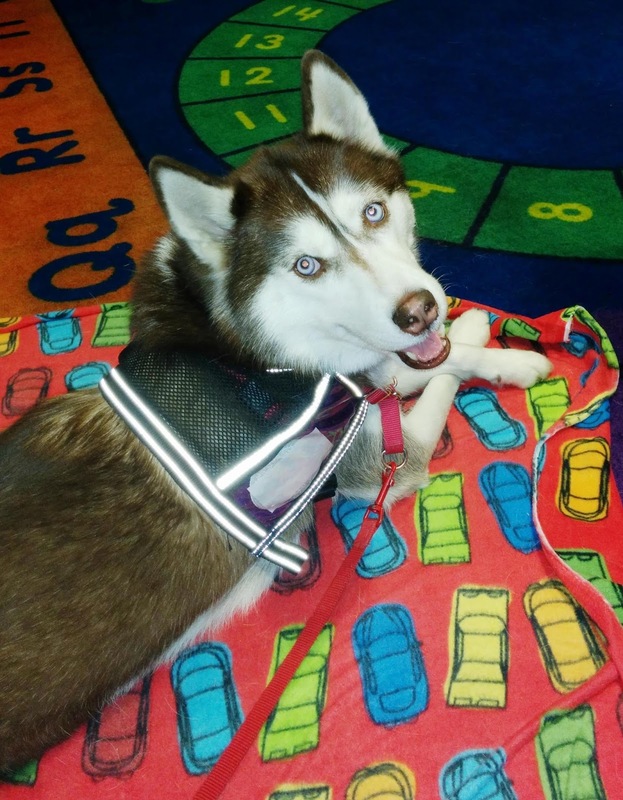 The terms "Therapy Dog" and "Service Dog"are sometimes used interchangeably, but a Therapy Dog is very different from a Service Dog. To learn about Therapy Dogs and read some heartwarming stories about how Therapy Dogs help people, check out the section on THERAPY DOGS on my blog's Home page. If you enjoyed this blog post, I think you'll really like my post on Service Dogs being raised in prison for a life of service. In this post I interview a friend of mine who spends her weekends socializing these dogs outside of prison walls. I didn't realize you and Icy are a therapy team! How wonderful! Yes, we have been for about 3 years now. We Love it! I love seeing service dogs that attend school with kids, it's such a great thing. No, I haven't seen graduation pics with the dogs in yearbooks, I would love to see that! How amazing, why didn't we all think of that years ago?? Thanks for sharing that! Service dogs fascinate me, too! Though as I mentioned yesterday I don't think I am strong enough to be one of the trainers - would definitely get too attached. There's a woman I see everyday on my way to work who is confined to a wheelchair and has a service dog. I think she has MS, but I'm not sure. Her dog trots along in front of her wheelchair and is so attentive. I love seeing them together. What a wonderful pair they must be. Service dogs are incredible, just incredible! So cool!! Sometimes I'm asked to train dogs for service work, but I stick to training family pets and therapy dogs. I'm fascinated by the dogs themselves...so intuitive, so confident...it's truly amazing! !